No one knows better than Heidi Kirrmaier that knitting can be a feat of engineering – as an electrical engineer, she uses her knowledge to create beautifully designed garments that have us swooning! Click here to see all of her patterns. Hi Heidi! Tell us a little bit about yourself. Born and raised in Canada, I love the outdoors but the winters are long! Nordic skiing and knitting help get me through winter, as do occasional trips to warmer climates and knowing I’ll be tending to my garden come spring. I’m inspired by everything I see in the world, whether it’s man-made or part of the natural environment. I love clothing and fashion and making things by hand. My first profession is electrical engineering. I work in the electricity industry which keeps me grounded and regularly reminds me that most problems have more than one solution, none of which will likely be viewed as perfect in everyone’s eyes. I am lucky to be married to a generous man who encourages and supports me in everything I do. My mother taught me how to knit when I was very young, maybe 5 years old. Both my mother and father are very handy and I’m extremely grateful they passed their skills and passion for craft on to their children. Tell us the story of your first knitting pattern! In my teens and twenties, when I knit for myself, friends and family I almost always made up my own patterns. I just sketched rough diagrams and noted a few key numbers and that was it. The yarns and patterns available then, where I lived, were nothing like today. The first time I actually designed and recorded a pattern for someone other than myself was for my sister. I had been working in Australia for a year and encountered a lovely little yarn shop full of Jo Sharp wool in a vast array of colours. I absolutely needed to share the joy with someone who would appreciate it! Miraculously, she made sense of my handwritten instructions and successfully executed the design. But the first real public pattern I ever wrote was Buttercup, which is a summer top inspired by a blouse I saw in a shop. After I knit my own, I wrote the pattern for my sister in her size, and subsequently expanded the size range and offered it for free on Ravelry in 2009. It was a bit of trial and error but I learned so much from creating it and the feedback I got. It was (and still is) so exciting to see complete strangers making my design according to my instructions! Designing is my second occupation at the moment, so my daily life primarily revolves around my day job, during which I admit I sometimes day-dream about designing. Ideas come to me at random times, but I do most of my actual designing, pattern writing and photography on weekends. My favourite part of the design process is translating my initial idea into numbers and bite-sized knit-able components. I can get lost for hours at a time when I’m immersed in this process. I often knit in the evenings while watching TV, but really wish I had a few more pairs of hands so I could get more projects done! I have a tendency to second guess my designs as I knit them, but have learned to persist and more often than not it pays off. Working with test knitters is also something I enjoy and appreciate immensely; it is when the design comes to life for me. 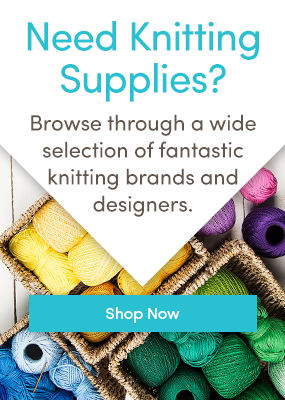 As part of pattern support, I do my best to check in on daily basis and answer any pattern-related questions, so no one has to wait too long for a response and have their knitting stalled. Managing the two occupations can sometimes be a bit overwhelming, but overall designing really helps me stay balanced. ‘Coherent’ is the word that comes to mind. My designs tend to have one element that everything else is built around, and it’s usually the shape and corresponding construction. I don’t mix many concepts into one design and generally don’t feel the need for extra decoration that isn’t an integral part of the construction. Simpler is better to me, both in the execution and in the resulting item. And my aim throughout all this is that the resulting item is stylish and that it will want to be worn. Which of your patterns would you recommend as a fairly simple project? And for someone looking for a real challenge? I think it’s fair to say that most of my patterns are neither super easy, nor super difficult. Because the majority of them are seamless garments, they tend to involve having to do a few things at once. But I also don’t use a lot of complicated techniques and always try to provide instructions that are crystal clear and concise so things don’t get more complex than necessary. For an accessory, Deep End is a pretty easy shawl pattern that allows you to play around with colour combinations. For a garment, After the Rain is fairly straight forward and has become my own go-to pattern whenever I want to make a simple sweatshirt-like pullover in a DK weight yarn. Pipit is a bit more unusual in its construction and therefore perhaps more challenging, but people who’ve made it really seem to love it. Long cardigans, pullovers with lots of positive ease, and anything in linen. Measuring tape. Since I knit a lot of garments, size and gauge are quite critical. A blend of linen, silk and wool. At first glance, it would be difficult for anyone to identify its exact composition; it stays cool when it’s hot, provides warmth when it’s chilly, flows naturally yet keeps its integrity over time even if it’s put through the ringer once in an while! Thanks to Heidi for taking some time to talk to us today – if you’d like to see all of Heidi’s patterns, click here. To purchase the patterns featured in this post, click on the pattern images to go to the pattern purchase page and add the pattern to your basket. You can tell you’re an engineer. Your designs are so neat and clean. The color combinations are interesting without being shocking, something I could wear easily. The flow of the garments is so beautiful. So little time. So many beautiful patterns. It is this kind of designing that keeps me practicing, learning to be a good knitter so I can do projects like this and do justice to the designer. Jennifer, if you click on the name of the pattern, or the photo, it takes you to the pattern page on the love knitting site x Going to knit the Shellseeker myself, happy knitting! The 6th row, could you please explain why some stiches are in (. ) and some in [ ] which one do I use. Or could you word it another way that I can understand. It looks like the () and  are referring to sizes. The instructions in () are for the small, medium 1, and medium 2 sizes. The instructions in  are for the large, extra large, and XXL sizes. Hope this helps, happy knitting! I am currently knitting the After the Rain pullover and found the first part easy to follow. It looks good so far but ran in to issues now I am about to do the sleeves. Any hints. Having an issue interpreting the table and instructions.